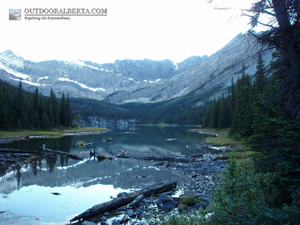 Sawback Lake is located about 25Kms into backcountry in the 40 mile creek area of Banff National Park. A backcountry campground just over a Km away is available if you want to stay nearby. 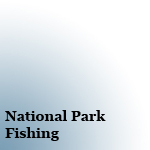 This Lake is larger with both deep and shallow areas. Its clear waters offer some great sight fishing when its not too windy. 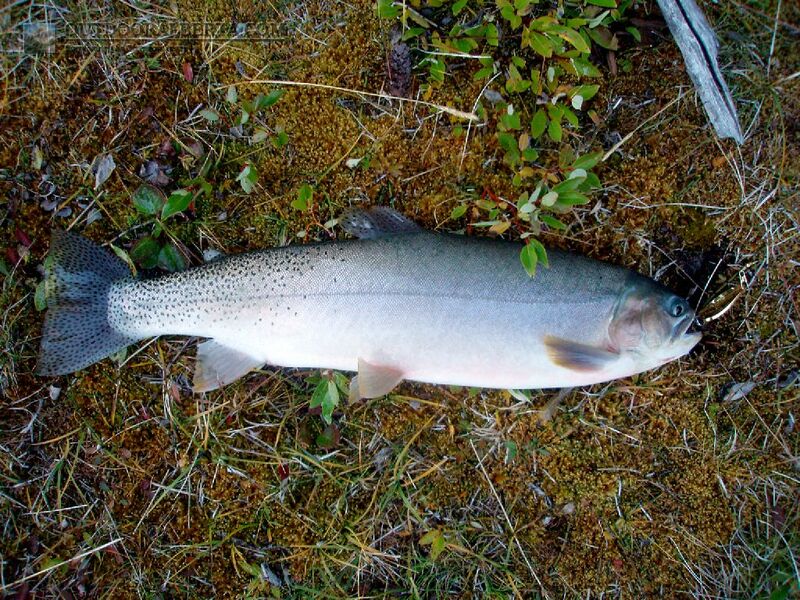 Sawback Lake offers some great Cutthroat Trout fishing. 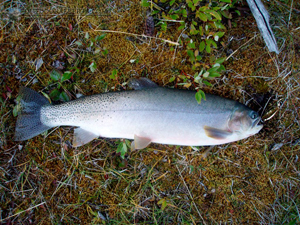 Larger fish do visit the shallower areas but are available throughout the lake. Most fish I caught were in the 15-17" range and the one pictured above is 18". Like most Cutthroat Trout lakes the fish in this lake were aggressive making for a productive day of fishing.